R.O.K.C. 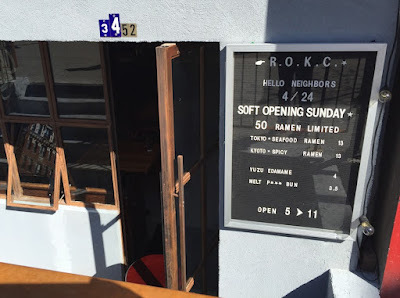 Ramen at 3452 Broadway by 141st street had a soft opening yesterday and a few Bespoke readers sent in photos of the sign out front which made the announcement. Only 50 bowls of ramen were served up and we dropped by later on in the evening to check out the new Hamilton Heights eatery. As far as mixing traditional and modern Japanese aesthetics goes, this new 25-seater is probably our favorite thus far to be found uptown. There is a rustic element with wood finishes along with traditional printed fabric flags hanging in the window but everything is done in a really elegant and updated fashion. A young and hip Japanese staff serves up the noodle soup which only comes in two versions so we went for the more spicy option with an addition of egg for a little more protein. 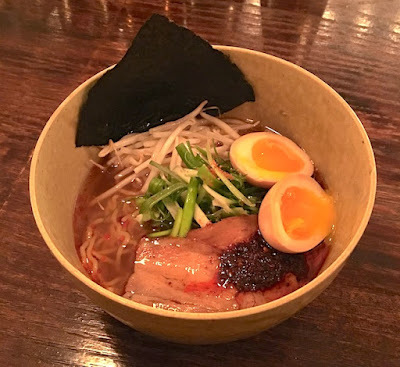 The superb light shoyu broth has the delicate balance that is missing in a lot of the robust Japanese options arriving in the city these days and we felt like we were in Tokyo at a secret new spot on one of that city's many side streets. There is an authenticity here that is really special and the presentation really hits everything home. 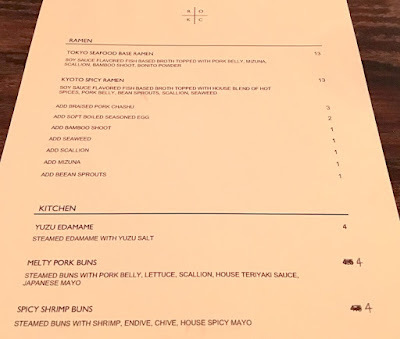 As far as the seafood goes, nothing is really happening on that front until the liquor license is in place. 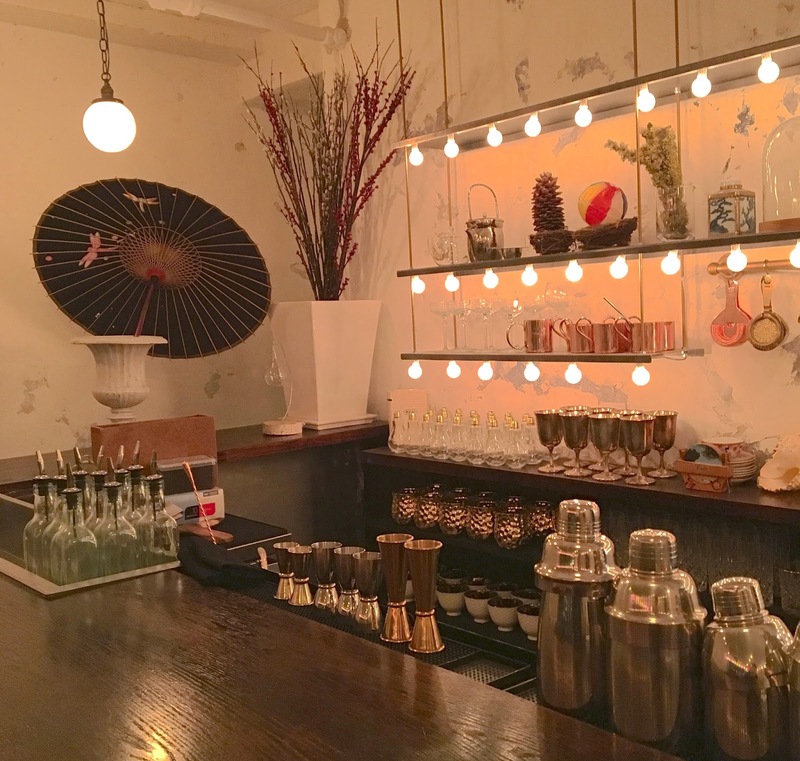 There will be fresh oysters, clams, scallops and lobsters so it will just be a straightforward raw bar menu. R.O.K.C. will be open every day of the week from 5:00PM until 11:00PM and is really highly recommended on our end. We went there last night. So yummy, and a great use of the space that was formerly Pet Ark! Went there over the weekend, still no liquor license yet, but oysters and clams are online now.